Cranleigh School has been one of our long time clients, we create their annual year books, pop up banners and a variety of other marketing requirements for them. They are opening a new building called ‘Cranleigh Activities’ where members can swim, play golf, cook, dance and so much more! A new logo for their building was required, and we were thrilled they offered the task to us! Attempting to represent all that the building offers into one logo is no mean feat! 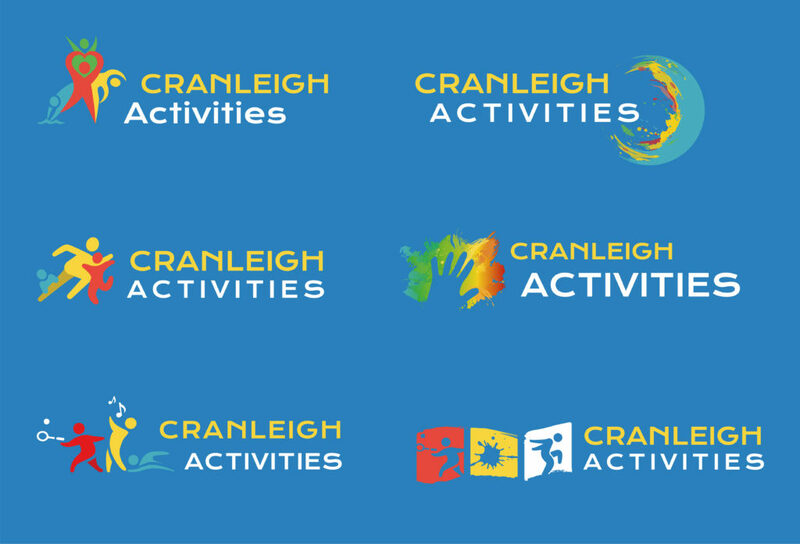 We created plenty of new logo options for Cranleigh, please view the range below. In order to embody all the range of activities the building provides, we chose to demonstrate movement in the new logo. In the final design, we used stick people of different sizes to showcase the different age ranges that utilise all of Cranleigh Activities.